BBC Africa Debate in Ghana asks: Is the older generation failingAfrica's youth? 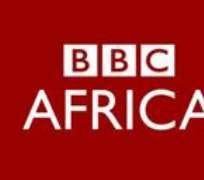 This Friday 2nd March, BBC Africa Debate on the BBC World Service comes from Accra, Ghana. Presenters, Akwasi Sarpong and Amina Yuguda will be joined by a local audience and expert guests including Ghana’s former President John Agyekum Kufuor, Ethel Cofie (founder of Women in Tech Africa), Patrick Awuah (founder of the Ashesi University) and the young Ghanaian politician Zanetor Agyeman-Rawlings. They will discuss whether the older African generation is creating the best possible start for the youth across the continent. The African continent is home to one in six of the world's population and they are young - the median age is just 20. The continent's political leaders tend to be from a much older generation. The debate will ask who has the best answers to the challenges facing the continent over the next generation? And ultimately, is the older generation failing Africa’s youth? The programme will be available to hear on Friday 2nd March at 1900 GMT on the BBC World Service, here: BBC Africa Debate . Listeners from across the continent can join the discussion by using the hashtag #BBCAfricaDebate on social media.